The thyroid is located in your neck, in front of your Adam’s apple. It is a gland that monitors the metabolic rate and synthesis of proteins. It releases hormones that adjust the metabolic rate, controls the strength and rate of your heart, and for growth. Problems with the thyroid can lead to an over or under active thyroid. In the former case, you may end up with mood swings, trouble sleeping, anxiety, hyperactivity, and fatigue. In the latter case, you may experience weight gain, tiredness, hair loss, depression, and memory loss. With this in mind, taking care of your thyroid is important, so incorporating the right foods into your diet is a good step forward. The thyroid really needs iodine and sometimes gets confused with other heavy metals in your diet, like mercury. 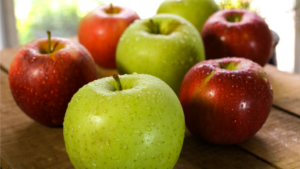 You need to detoxify your thyroid from these heavy metals and the best way to do this is to eat foods, like apples, which are high in pectin. Pectin is a fiber which helps to flush out toxins of this nature, as they stick to it in the bloodstream and get moved out of the body. 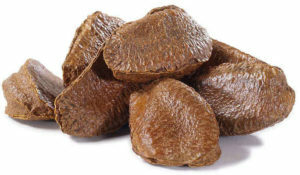 Brazil nuts are high in a component called selenium. This compound effectively helps the thyroid to work by turning it on. If your thyroid is slow, increasing the amount of selenium in the diet will help to improve its functioning. They also contain a weight loss compound called L-arginine, which you find in supplements like ‘Flat Belly’. Animal products are stuffed full of amino acids, particularly tyrosine. Tyrosine is one of the building blocks of the hormones in the thyroid. This means that for good thyroid functioning, you need a decent amount of it in your system. It does come in leafy greens but is more concentrated in animal products such as meat and dairy. Poultry is one of the better options as it lower in saturated fat than cheese and red meat. 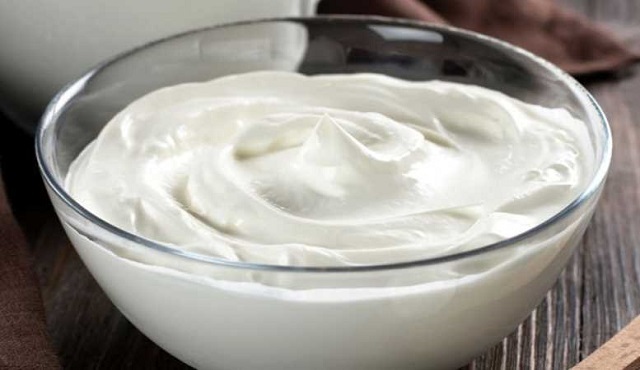 Yogurt is not only great for the digestive system, but it is good for the thyroid too. The high levels of vitamin D work to protect the thyroid as a shield from thyroid diseases and obesity. It also boosts the immune system and its probiotic nature helps it to balance gut flora, again helping the immune system to protect the thyroid from disease. Green tea is generally a wonder substance, used in a myriad of medicinal manners. Not only is it high in antioxidants, it also helps people to lose weight; one of the best ways to protect the thyroid. Green tea helps to speed up the liver’s capacity to burn fat more quickly, leading to quicker weight loss when combined with exercise. Your thyroid needs iodine to function; it is basically the thyroid’s fuel. When it doesn’t get enough iodine, it doesn’t produce the hormones that it needs to which leads to an underactive thyroid. Seaweed is a great source of iodine. 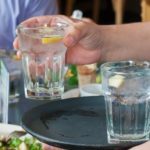 Where salt has been iodized for years to help people get enough, the recent developments in nutrition have shown that salt is bad for the diet, so now people are not getting enough. Try eating more seaweed instead. Oysters are very high in zinc, which is needed for your thyroid to function effectively. When the thyroid doesn’t get enough zinc, it slows down and stops producing hormones so frequently. It’s amazing how such a small thing that we don’t notice can have such an impact. If you are having problems with weight, consider adding thyroid foods to your diet!